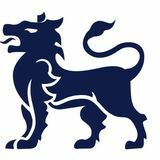 Royal Birmingham Conservatoire is a multi-disciplinary institution of music and acting offering an even greater range of performances from world-class professionals and emerging talent. Formerly known as Birmingham School of Acting, we are now part of Royal Birmingham Conservatoire. With roots as a drama school going back to 1936, we retain the professional outlook and commitment to contemporary training that has seen our acting courses consistently rated amongst the best in the UK. 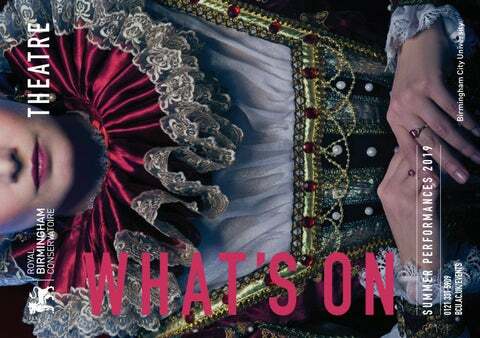 Comprised of final year students from our acting courses, Royal Birmingham Conservatoire Theatre Company has established a reputation as one of the city’s most exciting outfits. The Company’s composition changes every year, so our seasons are highly eclectic, presenting a wide range of works – some challenging, some moving, some witty, but all with a freshness that comes from working with emerging professional actors. The Company is supported by an energetic and creative production department consisting of a professional Stage Management Team, Property Master, Set Designer and Wardrobe Mistress. Each year, the Theatre Company is directed by professionals who present work nationally and internationally, ranging from productions in the West End to those for the Royal Shakespeare Company. J.B. Priestley’s Dangerous Corner opens with a gun shot and a scream. Canvas is a razor-sharp comedy which shines an incisive, witty light on middle-class preoccupations with parenting, the environment and mod cons. A tangled web of intrigue follows, twisting and turning with plot devices that would be recognisable to those familiar with the early works of the great Alfred Hitchcock. What follows uncovers a world of lies, theft and betrayal, spiced with drugs and gay passion. Three couples in search of a rural idyll find themselves in adjacent tents in the Welsh countryside thinking they have cracked the problem of being in the wilderness by going “glamping” in Wales, where the large tents come equipped with proper beds and wood-burning stoves. Written in 1932, the play was controversial for its references to homosexuality and drug use. While not as shocking today as it would have been when it premiered, the content is still juicy enough to keep us interested in the next twist or revelation. But canvas walls and adjacent tents leave little to the imagination in this entertaining exposé of modern family life. FLATPACK FESTIVAL: A PAGE OF MADNESS Opening Flatpack Festival this year is the world première of a newly commissioned live score by Sinestro Home Video, a six-piece ensemble pulled together by composers Matt Eaton (Pram) and Gareth Jones (Misty’s Big Adventure, Grandmaster Gareth). Thought lost for nearly five decades and then rediscovered in the 1970s, A Page of Madness is a stunning, surreal exploration of truth, memory and mental illness. Alongside the band, vocalist Atsuko Kamura will play the role of live benshi (narrator and storyteller), recounting the tale of a sectioned woman and her husband’s doomed attempts to extricate her from the asylum. The film has recently undergone a sumptuous restoration, and with Sinestro Home Video’s terrific new accompaniment it should be a festival opener to remember. Emojis are a comparatively recent addition to our lives, but their look and style as well as their use has shaped the way we communicate. They are a pictorial, symbol-driven language and thus quite close to the language of music notation. Some people use them in every text message they send, some people revert back to their old Nokia phone to avoid them. The selection of emojis decided on by the developers is fascinating, their official names and descriptions create fantastically odd texts, the gender and race issues around emojis say a lot about the state of the world. When the audience walks in they will have a choice of sitting or standing. There is only one row of chairs that surrounds the stage. This brings the audience extremely close to what the performers are doing. The show consists of lots of music but also movement and dance, text and stories, vegan music and more. Composer Jonathan Dove and librettist Alasdair Middleton’s opera is a witty and approachable interpretation of Jane Austen’s novel, with vocal lines combining imagination with enchanting virtuosity. While Sir Thomas Bertram is away visiting his plantations in Antigua, his Mansfield Park Estate is thrown out of kilter by the arrival of Mary Crawford and her fickle brother, Henry. Hedonists escaping the social whirl of London, they crash into the countryside and corrupt the Bertram family. Be prepared to be whisked through this nineteenth-century high-society romance by director Michael Barry, conductor Paul Wingfield and a stellar cast. Audiences are in for a real treat - a thrilling enactment by an ensemble of emerging operatic talent.